At Jesus’ final meal with His disciples, he said these words as he shared bread and wine with them for the last time, “Do this in remembrance of me”. Today is also a day of remembrance. We remember with joy and gratitude the life and vision of St Marcellin Champagnat, the father and founder of the Little Brothers of Mary 200 years ago. 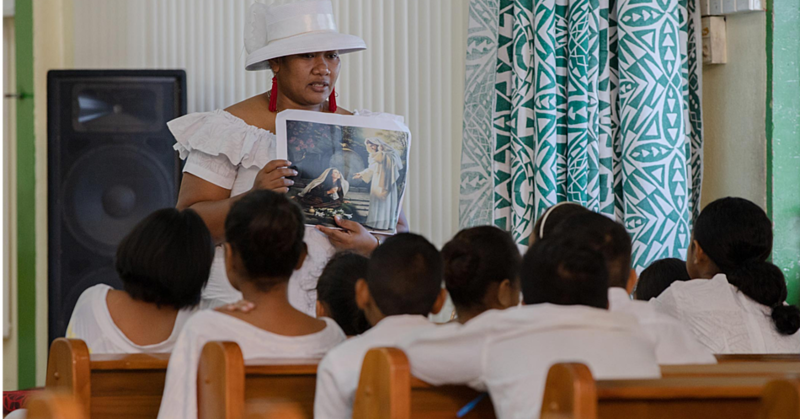 We remember with love and gratitude the service and commitment of the Marist Brothers to the formation and education of young peope in so many countries of the world including Samoa. We have a prayer to Mary that begins, “Remember O most gracious Virgin Mary...”. It is a prayer and a plea about ‘not forgetting’; it is about ‘keeping us in mind’; it is about ‘keeping us ever in her memory’ as a mother would her children. In our collective memory, we remember Marcellin Champagnat against the aftermath of the French Revolution and the terrible effects on families and children. We recall the love and compassion that propelled him to gather the poverty-stricken children, the orphans, the hardened and abused youths, the abandoned and neglected and offered them kindness, care, love, support and understanding. In this, Marcellin was guided by the Marist vision of the Blessed Virgin Mary as ‘Mother’. In imitating Mary the mother, Marcellin saw the work of the Marist Brothers as that which expresses the gentle and motherly care of Mary towards the most unfortunate of her children. The attitude of the Little Brothers of Mary in dealing with the young, would be like that of a mother; to be truly present and engaging, to be gentle listeners, to be firm but loving; to be understanding and forgiving, to be healers; to engender self-worth and above all to grow their faith in Jesus and their love of Mary their mother. The word ‘Felela’ is from the French ‘frere’ meaning brother. Calling each other ‘brother’ signifies in one way the brotherhood of sons of one mother – our mother Mary. It is a community and a household in which Mary dwells as mother, guide and protector. How is the Marist spirit and attitude evident in their mission and service to the young people? How have I witnessed this recalling in memory the lives of some of the Felela who impacted my life? I remember Brother Pamphelius walking and reciting the Rosary in the Sunday noonday heat on his way from Mulivai to Tafaigata Prison. The gesture is full of meaning and nuance. He is praying to Mother Mary, the patron saint of the Marist community. He is doing penance walking in the noonday sun. He is acknowledging that as former teacher and spiritual father, he cares and is accountable for his students. In summary, noone is excluded from the love and caring of the Marist family. I remember Brother Leo because he taught my father and he was always encouraging me to cultivate a high work ethic because that will ensure good results in exams. I remember Brother Alfred because he was designated as the peace maker. Whenever there was a serious problem, he became the spokesman for the teachng hierarchy. In these occasions, he spoke Samoan. I remember especially his articulation which was lucid and beautifully enunciated. I remember Brother Dennis as a strict disciplinarian. It must have done good for me because I skipped Standard 4 and went straight to Standard 5. I remember Brother Jerome because when I was in Form 3, he confided in my father that if I didn’t pull my socks up, I was going to fail. My father’s intervention was effective. I want to end my remembrances with an anecdote which illustrates well the Marist spirit. When I was sworn in as a Member of the Council of Deputies, Hon.Polataivao Fosi his wife and children attended. Hon. 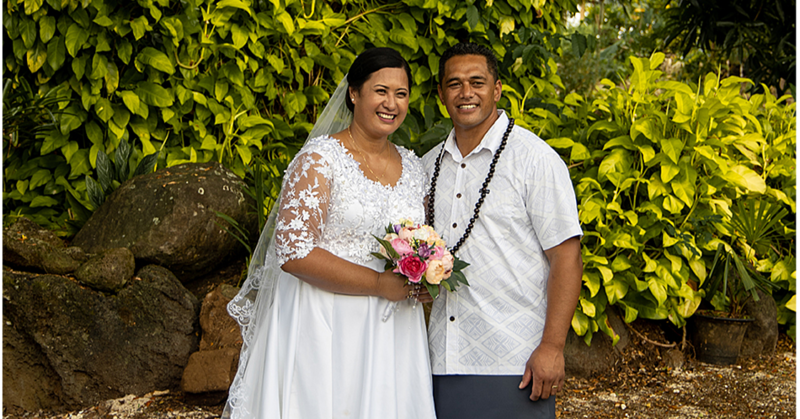 Polataivao said, I’ve come with my wife and my children to make a declaration to you. Our fierce exchanges in Parliament are over and a thing of the past. I prayed that you would become a Member of the Council of Deputies. Now that you have been sworn in today, I pledge the support and loyalty of my family to you. I have fine mats, money, cows, pigs. If you need any of these things, just let me know. And the reason for this is that we are brothers within the Marist family. 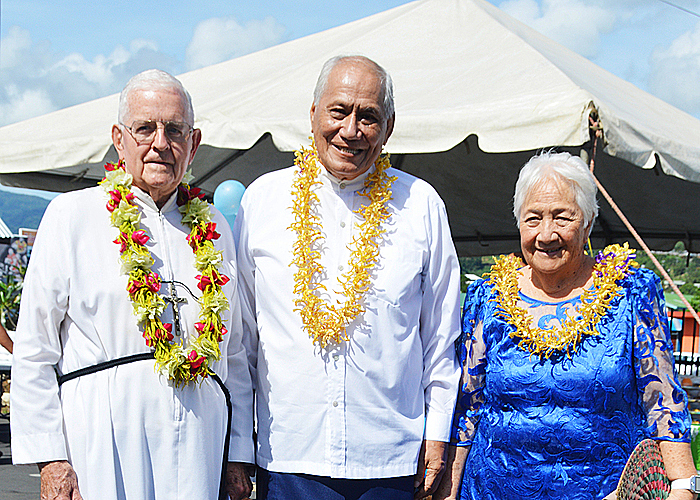 When Hon.Polataivao died, his family came to inform me that it was the Hon.Polataivao’s wish that I do a eulogy for him. I was happy and honored to do this. And the theme of my eulogy was a quote from the eminent Franciscan Friar of Atonement, Father Paul Ojibway. And when all manner of things are described, the lasting task the indigenous of the New World teaches us to care about is the most obvious and probably the most difficult in becoming human beings – how to forgive one another. Amongst the Marist fraternity raised in the frame of St Marcellin Champagnat’s motto – “a heart that knows no bounds” it is not difficult to forgive. Soifua.